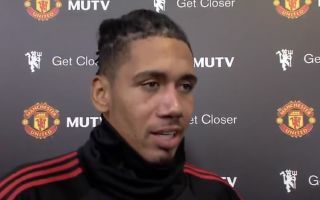 Manchester United defender Chris Smalling aimed a little dig at Arsenal’s tactics under Unai Emery after the 2-2 draw in the Premier League yesterday. The England international admitted that United’s much-changed team still felt they could cause the Gunners problems at Old Trafford last night because their opponents like to ‘take risks at the back’. This seems a little knock at the way new manager Emery has Arsenal playing out from the back, which has served him pretty well so far and is becoming an increasing trend among top teams all over Europe. It seems United felt they could use this approach to their advantage, however, and it proved to be the case in an evenly-contested game in which both sides looked suspect defensively. MORE: Should Man Utd re-sign Memphis Depay from Lyon?